All-new edition of the most widely recommended assertiveness training book helps readers develop more effective self-expression with detailed procedures, examples, and exercises. The ninth edition has been completely revised to include new material on assertive expression in email and social networks, what to do when assertiveness doesn’t work, anger expression, persistence, treatments for social anxiety, giving and receiving criticism, facial expression research, social intelligence,personal boundaries, components of assertive behavior, and recent brain research. 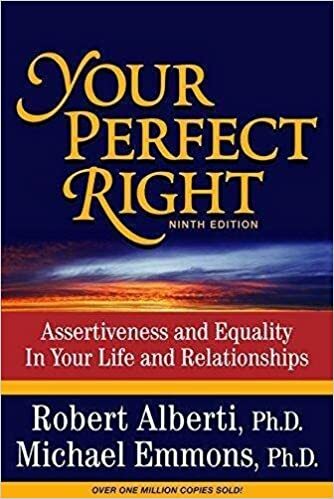 Not a “me-first” book-It’s all about equal-relationship assertiveness.